Over the past decade or so, technology—and with it, communication from faraway lands—has changed our lives. Probably no other demographic of people has experienced this change as much as the military. In World War II, telegrams and letters were the lifeline between families back home and soldiers overseas. The postal service sped up slightly as troops were sent to Korea. Now, some soldiers have constant access to the Internet; they can see firsthand what is trending on Twitter and Instagram. With these changes, however, comes this question: How much communication is too much? From the beginning of their careers, soldiers are cut off from their families. Basic training breaks the constant contact that society is so accustomed to today. Soldiers focus on the most important thing at that point: their job. It is essential that family members understand and respect this. It is equally important for family members to learn that there are times when communication is simply impossible or inappropriate. Frequent communication, however, can be a good thing. Elysia Nicolas has been an Army spouse for more than 20 years, and she makes a point to talk with her husband every day of every deployment. Nicolas likes to keep her husband in the loop and agrees that email is great for that. “Sometimes, even though we’ve spoken about a particular topic, I email him about it since I think it may be easier for him to focus and reply when he’s not rushed,” she says. Twenty years ago in basic training, soldiers were lucky to get time to write letters home. Now, some soldiers are allowed to call home weekly. In Advanced Individual Training, cellphones are seen every day. While limited during the duty day, soldiers are immediately calling, texting and checking Facebook as soon as it is permitted—and sometimes, when it isn’t. The old adage “a distracted soldier is a dead soldier” still rings true. 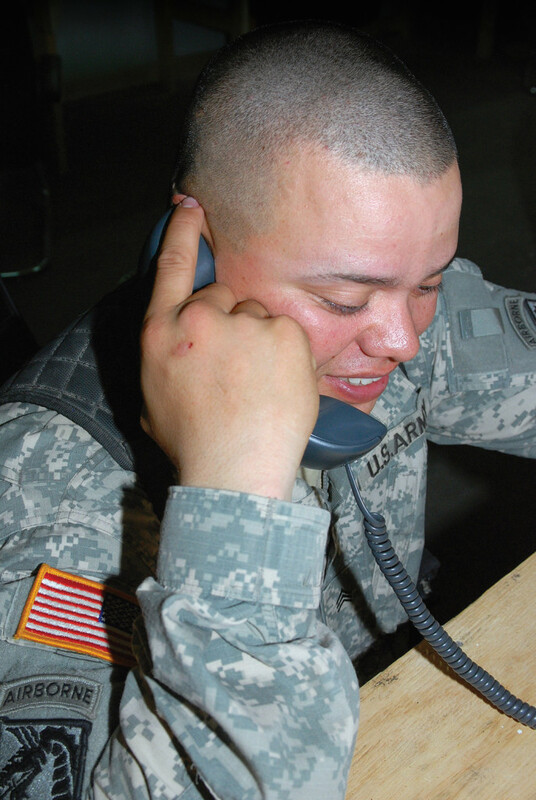 Certainly, a phone call or text could be distracting during a stressful moment and while the soldier may not be in combat at that moment, you can never be 100 percent sure.